I met these two kickass fellow entrepreneurs when we showed at Scoop in July. Rassin & Shen, made up of Efrat Rassin and Tara Shen, have reinvented eyewear accessories. We met up last week for a photoshoot collaboration. They needed some updated product images and I wanted some fresh lifestyle images for our collection (as well as getting some good ol' photography practice in). As they are an eyewear brand they needed some looks to style their model with so I threw in a couple of our pieces to pair their products with. We shot at a co-working space at The Trampery Republic out near East India DLR. It was a great space--sunny balconies, indoor studio, and free coffee and tea! Our lovely model Aleks was in town from Berlin. What amazing energy she had! I'm sure being a yoga instructor helped, but can you imagine bouncing around, posing, smiling for 8 hours? I don't think I could do it. Some people can, and even fewer people can do it well. Aleks is definitely one of them. 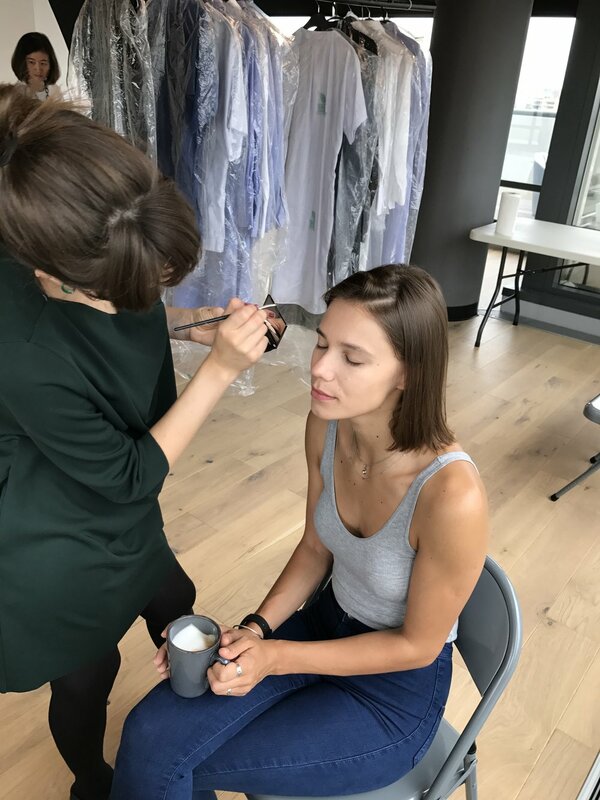 We had some help from makeup artist Alina and her startup makeup company Lin and Lo thats focuses on natural mineral makeup. We got some amazing shots that you can see on our website and on theirs at www.rassinshen.com. Can't wait to shoot with them again!